Last edited by yskwork; 03-17-2019, 07:20 PM. 1- If you plug in your own blueprints instead of existing ones, expect everything to get broken. There's a lot of links between various BPs, and they immediately get broken when you replace them. Think of placing the electronics of a Boeing into a Airbus. Why would they work, if it's completely different planes? Obviously, you can adapt them, but it requires a lot of work. And you could make child BPs inherit from the same class, but in-game classes do not warrant such drastic measures. 2- The way to make different in-game classes (rogue, warrior, etc) is not by making different blueprints for each class. You should make a replicated enum (for your in-game class) on the Player State BP, and depending on its value, the model may change or other changes may take effect, depending on what different classes entail in your game. You should set this value in OnGetCharacter, and you should add the retrieval of this value in the associated php script. Last edited by CodeSpartan; 03-17-2019, 09:12 PM. Sorry, I don't understand. Do you have concrete steps to reproduce the bug? Could you try using google translate when describing it? "starting it through Visual Studio in debug mode and run it like that. If it crashes, you'll know where the bug is"
Last edited by yskwork; 03-18-2019, 04:14 AM. -completing a quest will give you XP/JP/COINS. -You can set prerequisite quests for each quest. -you can make time challenge quest. -you can hide/show quests at any time. -you can remove any quest and retake it again. -Each player has jp/xp and level. when killing any monster it will level up. -players can kill each other if they are in PK mode. -Player can write public chat above itself. hi so after i've downloaded the game from the launcher the zip file wont extract into thre game folder..why is this happening? Chat is not displayed for people already on the server or for people who are connecting just now? Did you modify chat server in any way? And what version are you running? Bbecause I patched it a couple of times in the last year. I'm running a demo server and I don't have this problem, so I don't know how to reproduce it. How comfortable are you with C#? What I'd do is launch the chat server through visual studio, wait for the bug to occur, then put a breakpoints in the code to see where it goes wrong. The launcher isn't supposed to download a giant .7z file. The .7z only goes from deployer to server, where the php must unpack it. You're doing something wrong. I don't have that. 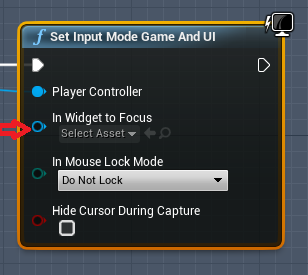 Looks like you've input something into a node like that that's either not a widget, or it's not focusable. Last edited by yskwork; 03-25-2019, 05:56 AM. Is It Have Something To Do With My WebHost Permission? This Is The Permission For The Game Folder And In The Folder Is The 7z File is it Suppose To Be That Way Or Is It Extracted because when i go deploy it it said it extracted ? I ve ran into a weird problem. ModularPlayerCharacter doesnt render in mobile preview, though MMOCharacter does. Why is this happening?